The heart of Ocean Beach – Will hamburger prestige complicate the simple life? 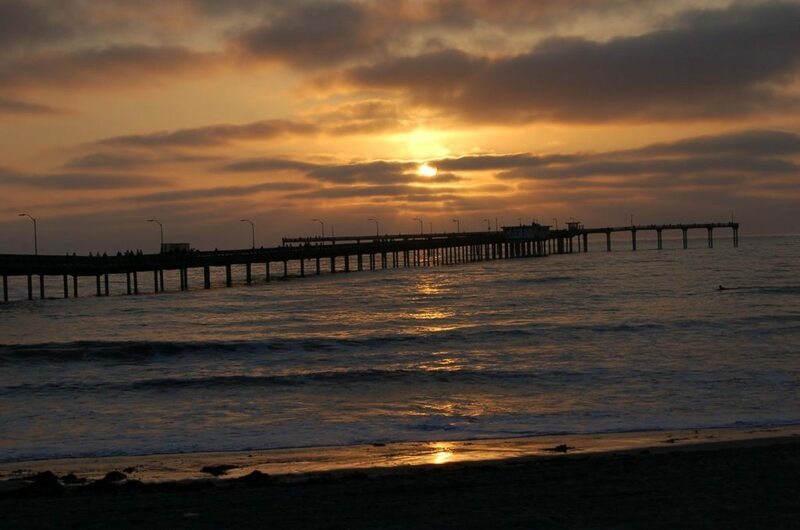 Sunset, OB Pier, May 19, 2009 - by Jim Grant - click on image for a larger version. Whether or not a place is literally dead, what we really mean is: A place that we like has changed, and we are reminded of the impossibility of returning to the times we had there. In fact, you hear the opposite: O.B. is perceived by almost everyone familiar with the iconic little beach hamlet as stubbornly resistant to the virus of change. That’s why so many who once lived in O.B. eventually return: I-8 West is a time machine. For the remainder of this wonderful article about Hodads and Ocean Beach, go here. I hope everyone is as lucky as this old man and find OB to be their loft in Greenwich Village and their cabin in Key West, if they always wanted to be writers and used that lame excuse. I say keep it as weird as possible! I think that despite the gentrification of OB, it really won’t ever die. Even the folks building up and changing the face of this neighborhood probably understand that the way of life here cannot be changed. I think this article was poignant and a good piece of writing. lane, plus the article was a good plug for the OB Rag blog – thanks DA Kolodenko. DAK – you are a wonderful writer and a genuine contributor to what’s good in OB. Keep up the good work. And if you ever have to leave SDCB, you will always have a home with us.